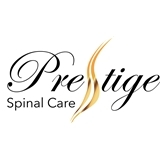 Prestige Spinal Care (The Woodlands) - Book Appointment Online! At Prestige Spinal Care, we strongly believe that people in balance are more relaxed, sleep better, look younger and are generally healthier. They also have better posture which feels and looks good and allows the free flow of the body’s innate intelligence to promote self-healing and maintain thriving health at any age. People in balance do more because they are more likely to be free of pain and limitation. He was fantastic! He was funny, nice and such a gentleman. I felt so comfortable and taken care of.